The voice-controlled Tmall Genie can be used to play music, run third-party apps and buy goods from the Chinese retail giant's online stores. Like many such devices, it lacks a display. At launch, it will understand only Mandarin and be sold in the company's domestic market. Tencent - China's biggest technology company by market capitalisation - has announced it has a similar product in development. In the West, Amazon's Echo range of smart speakers compete against Google Home. Apple and Microsoft have similar products scheduled for release soon. And Samsung is readying a speaker of its own, powered by its new Bixby virtual assistant, according to a report by the Wall Street Journal on Tuesday. Alibaba's new product derives its name from the company's e-commerce platform - Tmall - and during a demonstration in Beijing was used to order a delivery of Coca-Cola and buy credit for a phone. Tmall allows local and international retailers to run their own virtual storefronts on its platform and says it is China's third most visited shopping site. 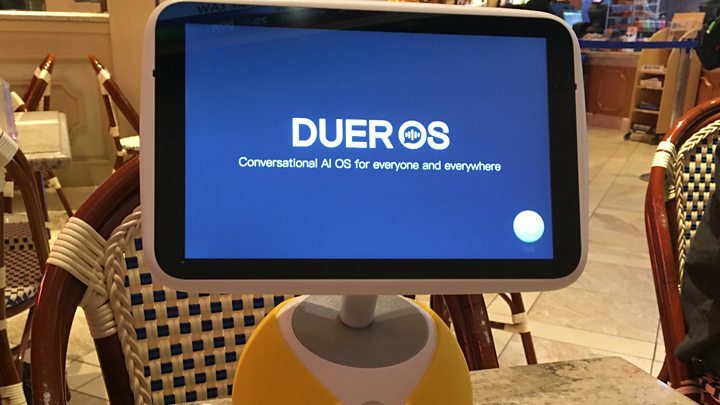 "It clearly is an advantage if - like Amazon - you can pull consumers into your retail ecosystem with a smart speaker," said Eden Zoller from the technology consultancy Ovum. 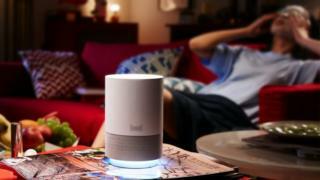 "But one thing we need to remember is it's early days for this category, and there remain questions of consumer trust in using the digital assistants to buy goods, on a smartphone or smart home speaker device. "By that, I mean both the security of the transaction and privacy concerns about how personal data is leveraged and shared." In addition, it has built in support for Alipay, the company's popular online payment system, which is similar to PayPal. However, to begin with, the company is marketing the device as a "limited beta" release that will help provide feedback before it is ready to mass produce the item.